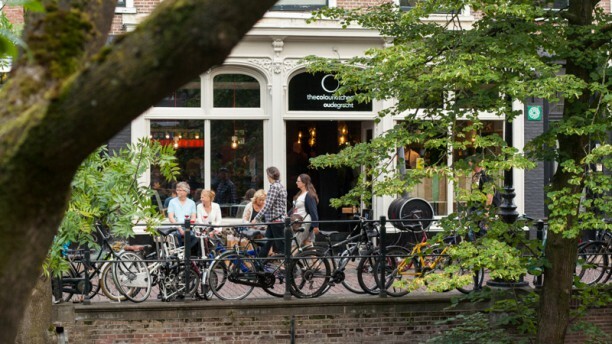 The Colour Kitchen is located in the charming Oudegracht, in the heart of Utrecht. Enjoy their lovely service during an extended breakfast, a coffee moment, drink or dinner. Not only you can relish delicious meals, but also enjoy supporting their company purpose; provide space to unemployed for personal education towards a horeca professional. Enjoy dinner and the good feeling afterwards. Bon appetit! Prima eten en correcte bediening! Lekker gegeten! Ruime gelegenheid, lekker eten en uitstekende huiswijn. nice atmosphere with a great social message. All in all, good restaurant with very nice atmosphere! Great location with a good ambiance in the restaurant. Service is very good. Especially knowing that there is a social project behind it. Food is also delicious. Good price quality level. The service quality and the location is very good. Very friendly staff. Food was also very good and tasty. Portions are big enough and the quality/price ratio is top. As summary I would definitely go to Color kitchen again. I recommend it. Very good experience. The food was good and prepared with attention. The waiting staff is friendly and professional, and the atmosphere is very pleasant. We had a very good night and are definitely coming back. Mediocre dinner at best. We tried The Color Kitchen with the albert heijn actie, and had a great start with our first dish. Unfortunately, the maindish was mediocre at best and not up to standards. We'll see if we try this restaurant again.